Two new player suggested weapons in stores now! Well, technically, they’re in Kiosks. Two separate Kiosks, in fact. 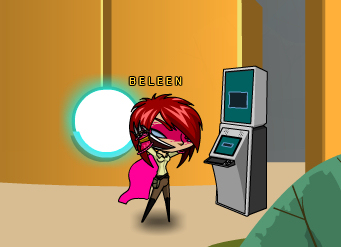 One is available at the Skulldeep Kiosk and the other is at the Herospire Kiosk. 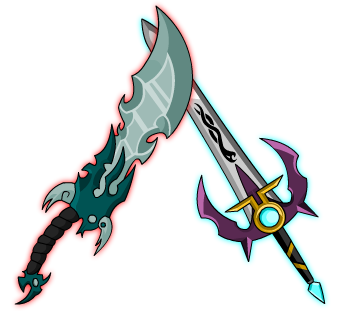 The Inverted Justice (left, and quite Villainous) was inspired by your fellow player, Na Tra, while the Heroic Final Blade (right) was created by Omega. Head on over to your faction’s headquarters and get the newest player suggested swords!